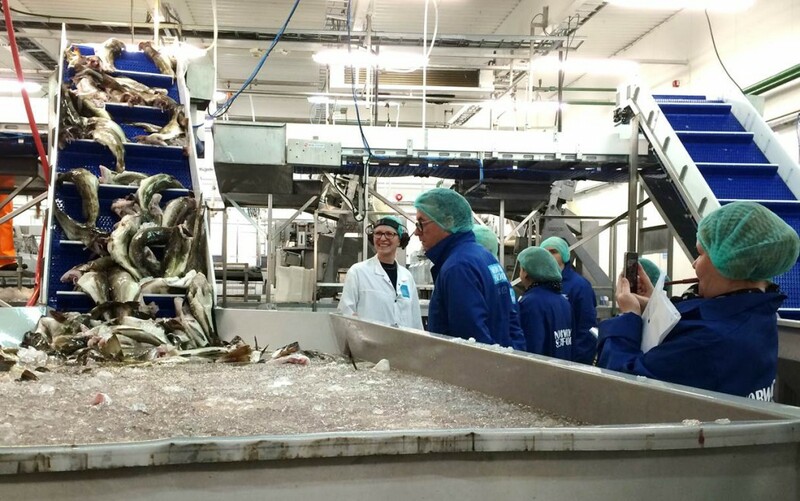 Last week ten R&D participants in the QualiFish project from SINTEF, NIFES, NTNU and UiS visited Norway Seafoods and their processing plant in Melbu. Norway Seafoods is one of Europes largest providers of whitefish solutions. Their processing plant in Melbu work with traditional filet production. The aim of the visit was for the R&D partners to get an understanding of the process flow in the factory, and to identify possible problems and future solutions. As a part of this the participants got an informative and exciting tour of the processing plant. The information gathered during the visit will be used for further work in the project with regards to catch, processing, logistics and market. – Our visit to Norway Seafood in Melbu was very educational, as it is important for the project to be in direct dialogue with the industry. We need to see and hear the challenges they work with every day. It was especially interesting to hear about their succesfull new products in the Norwegian market, says project manager Hanne Digre.